A Lovely Large Display or Bookcase With Cupboards. 203cm High x 193cm wide. Having three shelves with two large cupboards below. Decorative cornice, columns and pillars. A very decorative piece of furniture that could easily be painted to fit into your colour scheme! 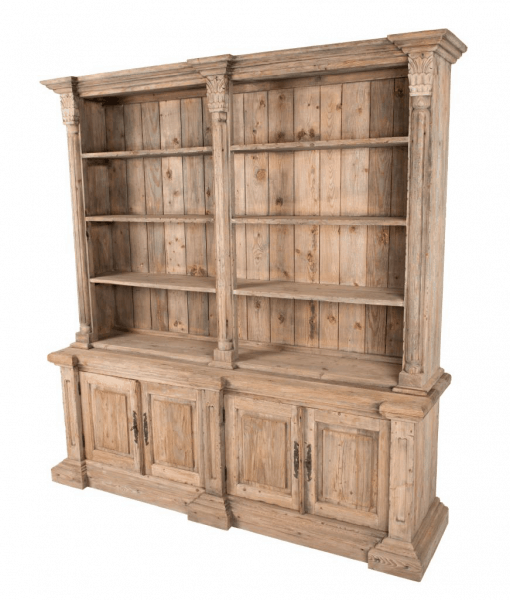 A Lovely Large Display or Bookcase With Cupboards. 203cm High x 193cm wide.